Description: Geek News Central is where I talk tech for the common man. With a twice weekly tech show covering a wide range of technical issues. Author of Podcasting The Do it Yourself Guide. Free music battle heats up with the race to the bottom with free music offerings from both YouTube Music and Amazon. Great for consumers but it appears that the ad model that radio uses may actually now work in the digital divide which is exciting in itself. Time will tell how effective these offerings are as we are getting nickel and dimed now for every little service. I have some news to share on the next show which will come from the Blubrry studio in Columbus, Ohio. 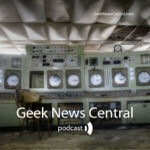 Your support of this show is critical, become a Geek News Central Insider Today! See all my health supplement recommendations. Get an Amazon Business Account today. The post Free Music Battle #1362 appeared first on Geek News Central. Todd - Congrats on the full time move to RawVoice !